Nitin’s love affair with music began at an early age. His initial musical spectrum included Hip Hop, Early Electro and New Wave. It wasn’t long before the radio waves of Detroit caught his ears; and he was hooked. Techno & House was clearly the platform, and a direction was chosen. Fast forward to 2011, and Nitin has built a respected name for himself. Considered to be a key player in the recent explosion of Toronto artists on the world stage. Nitin has been hard at work in the studio focusing on his production, In 2008 launched No.19 Music with Label Partners Jonny White of Art Department. Already the label has seen critical acclaim with releases and remixes from legends DJ Sneak, Osunlade, Stacey Pullen and future legends Jamie Jones, Soul Clap and Adam Marshall to name a few. 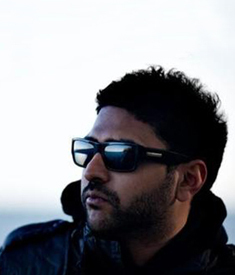 Nitin's debut EP on released in 2009 of No.19 was one of the labels best sellers and received a wide array of press and DJ support.